The majority of toothpaste manufactured today contains fluoride, but does the evidence show that this chemical does more harm than good for people's health? Is fluoride really good for your teeth? Let's unpack some of the facts surrounding fluoride and its use for preventing tooth decay. Although many dentists advocate the use of fluoride toothpaste for their patients, including children, it may have ill effects on the teeth if it isn't used properly, and even if it is in some cases. Independent studies have shown that fluoride can strengthen tooth enamel, but its effect on other parts of the body can overshadow any benefit to teeth. The problem with fluoride in toothpaste is that it often gets ingested, especially by children. Some children think it's food and will eat it, which can make them sick or cause fluorosis. Fluorosis is caused by repeated ingestion of fluoride over time. The symptoms are white streaks on teeth or teeth with brown spots all over them, body aches, and headaches. Fluoride exposure can occur in your city or municipality's water supply as well as in toothpaste, making the exposure even higher than with toothpaste alone. Although authorities insist that adding fluoride to a city's water supply is helpful rather than harmful, some children are sensitive to fluoride exposure and its effects on the body. 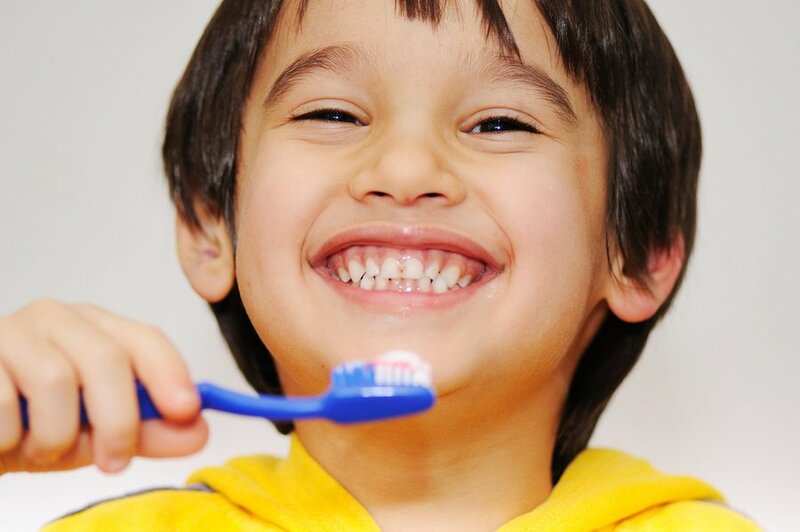 Dentists routinely caution parents to supervise their young children when brushing their teeth to make sure they don't ingest the toothpaste, and there are poison control warning labels on kids' toothpaste as well. It is sometimes hard to tell whether it is safe to expose your children to fluoridated water or toothpaste. Parents want to take the best possible care of their child's teeth. According to Dental Buzz columnist Trish Walraven, it isn't the fluoride in commercial toothpaste (or any of the other ingredients) that keeps cavities away. Walraven argues that toothpaste is merely a cosmetic designed to take the bad taste out of our mouths and make them feel cleaner. As long as you brush for two minutes, Walraven says, your teeth will get cleaner and plaque will be removed, with or without fluoride. Biconi Tooth Fairy Natural Toothpaste not only doesn't contain fluoride that can harm your body, but it contains beneficial nutrients that can remove germs and keep gums healthier. Xylitol is a plant-based additive that has been shown to kill harmful bacteria, and noni enzyme is a powerful antioxidant that can fight gingivitis and tooth decay. Coconut oil helps dissolve plaque and stuck-on food. Propolis extract fights bad breath and prevents infections. The natural ingredients in Tooth Fairy Natural Toothpaste can even re-mineralize teeth that have begun the early stages of decay. Tooth Fairy Natural Toothpaste is formulated for children 0-6 years old and their unique needs as their baby teeth emerge. Shop baby products for natural solutions for your young one's hygiene.